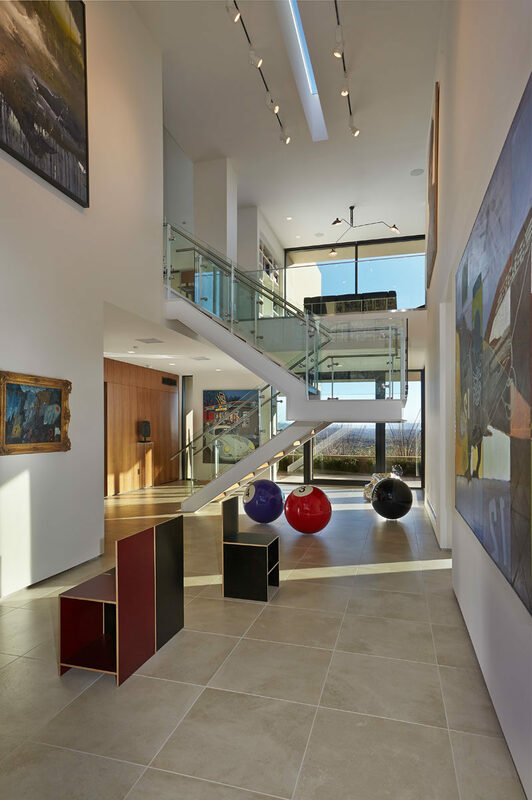 Stepping inside the home, the owner’s love for art is apparent. A double height space has been dedicated to being an art gallery, with art pieces hanging on the walls and sculptures on the floor. A wood staircase with glass and steel handrails leads up to the upper floor of the home. 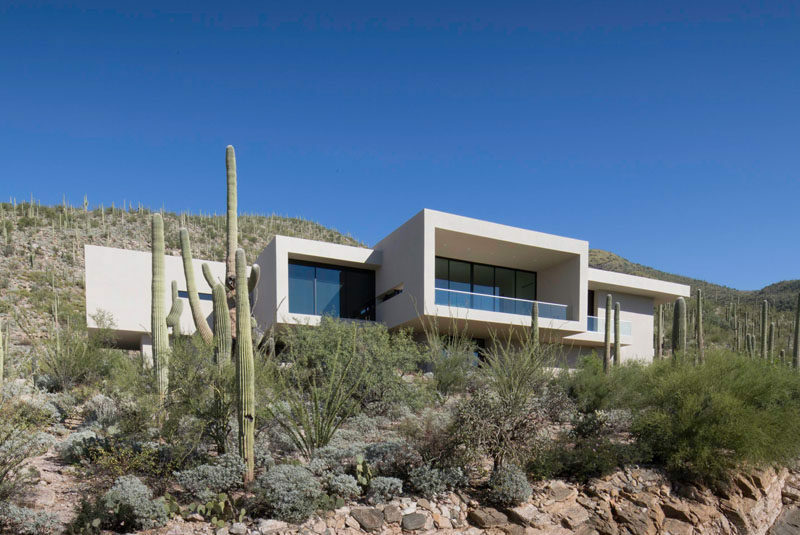 At the top of the stairs is the home office, that has built-in bookshelves, a sitting area and views of the landscape. Next to the home office is the dining area and living room. The large open plan room has a sliding glass wall that opens up to a covered deck. 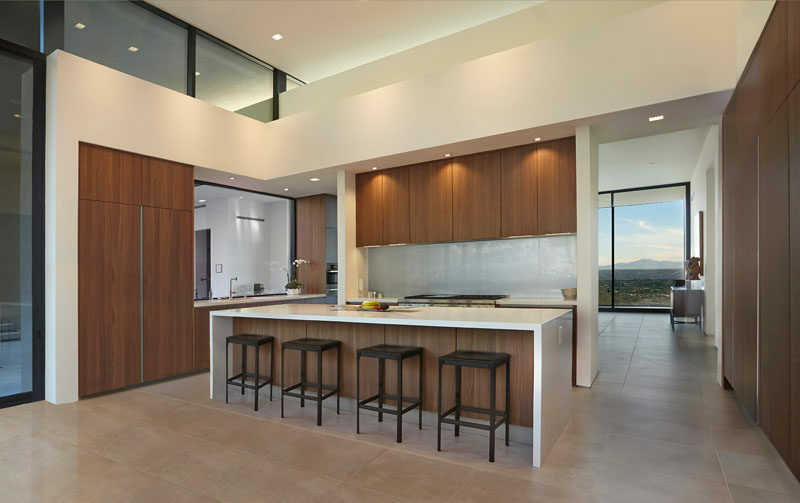 In the kitchen, wood cabinetry adds warmth to the space and a large island provides space for people to sit and relax. Beside the kitchen is an informal dining area and a second living room. Large windows keep the interior bright and make the surrounding scenery a backdrop to the space. Located off the interior living spaces is another deck, however this time there’s a swimming pool and spa, an outdoor dining and living area with fireplace, and a bbq / outdoor kitchen. 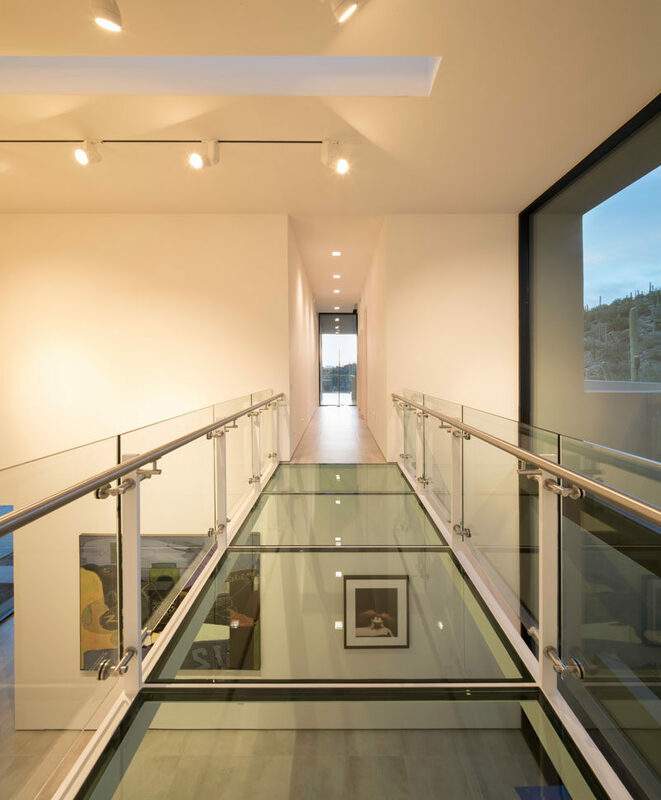 Back inside, there’s a glass bridge that crosses the art gallery and connects the living areas with the bedrooms. 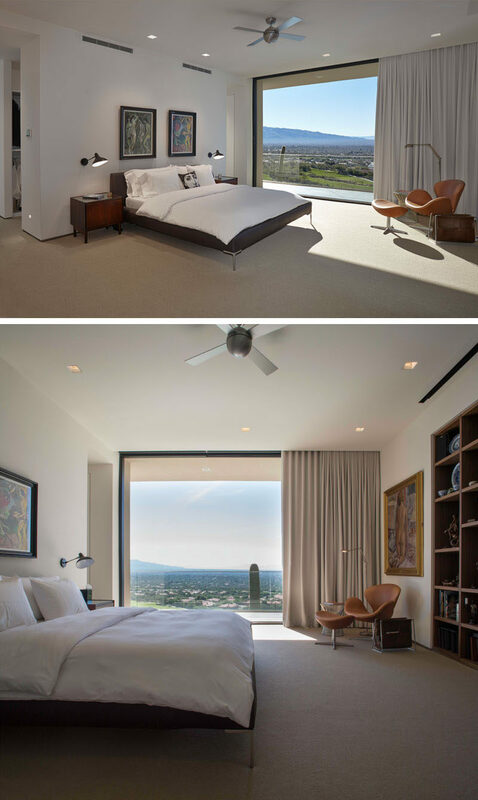 In one of the bedrooms, a large floor-to-ceiling sliding glass wall can open to give the bedroom access to a private balcony. 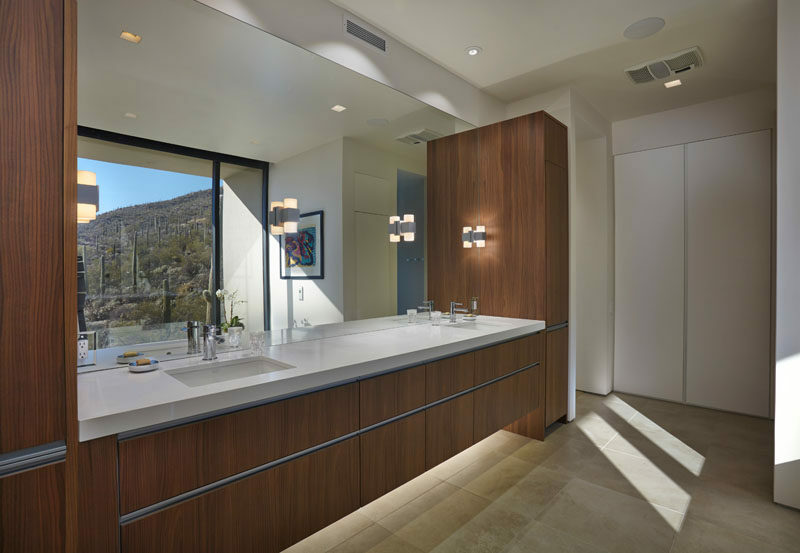 In the bathroom there’s a large double sink, wood vanity with plenty of storage, and the large mirror reflects the views from outside.